A review of Clarendon National Health Insurance Company leads to Clarendon Insurance Group. It is a subsidiary of Hanover Finance. As a subsidiary, all pertinent information about Clarendon is funneled through and provided by Hanover Finance, its marketing department, and its website. Unfortunately, Hanover is in the process of dissolving. Clarendon Insurance Group has had many problems due to a business deal Hanover Finance made that did not go as planned. Hanover joined forces with Allied Farmers Unlimited. The combined assets of both companies were supposed to be invested to make shareholders more of a profit on their investment, but this did not happen. The merger was a result of a struggling Hanover Finance Company. The company had amassed enough debt to outweigh their assets. This debt was swapped for some for the equity that was found in Allied Farmers Limited. The idea of the merger was to prevent Hanover Finance from having to close its doors and to give shareholders the opportunity to save their investments. The decision to do this was made by the board of directors, executives of both Hanover Finance and Allied Farmers, and the shareholders of both companies. Instead of becoming a total loss, this would give the Hanover investors a chance to recover what had gone down in value, and would give Allied investors a chance to increase the worth of their stock. Mergers like this happen often in the insurance industry. It is quite common for one company to stay afloat by joining with another company and moving forward. It is also quite common for a company to fold into another company before financial problems get too bad to save at least some of a company’s assets. Unfortunately, this merger and debt for equity trade has not gone as planned. The problem is blamed on poor management of the assets. In fact, an executive at Allied is being considered in a lawsuit for his role in the negative outcome of the Allied/Hanover merger. Shareholders want answers, but since it was a series of bad decisions and not something illegal, resulting in the loss of revenue, no answers have to be provided. It seems as if the millions of dollars produced by this joint venture were spent on additional investments that went bad instead of being spent on restructuring and improving the company. Though the company is still afloat, it is treading water. Shareholders are asking for a change in the entire governing board of Allied Farmers Limited due to the decisions made. 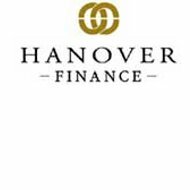 Hanover Finance itself has gone into receivership, which has caused the stock in the company to have little, to no value. Instead of the merger saving shareholders’ investments and providing additional income, the merger has resulted in further loss for shareholders and a quick removal of additional support. Furthermore, the executives at Allied tried get a suppression order which prevented shareholders from seeing the full financial situation of the company. The suppression was granted, but quickly lifted in a higher court. Clarendon via Hanover Finance has officially gone into receivership status. Receivership is when the department of insurance in the licensing state finds an insurance company financially unstable, so they start the process of handing the company over to another insurance company. Hanover was recently found to have less than $500,000 in assets. In Clarendon’s case, the state handling the receivership is Texas. During a receivership, offers are made to several other insurance companies to buy out the remaining policies and assets of the failing company. Once the offers are assessed, a decision is made by the Texas Department of Insurance regarding which company will take over for the failing one. During this transition, policyholders often do not even know about the receivership or the financial problems going on with their insurance company. Once the receivership is final, policyholders will get a letter stating the change of ownership of the policies and can make the decision as to whether or not they want to stay with the receivership company.